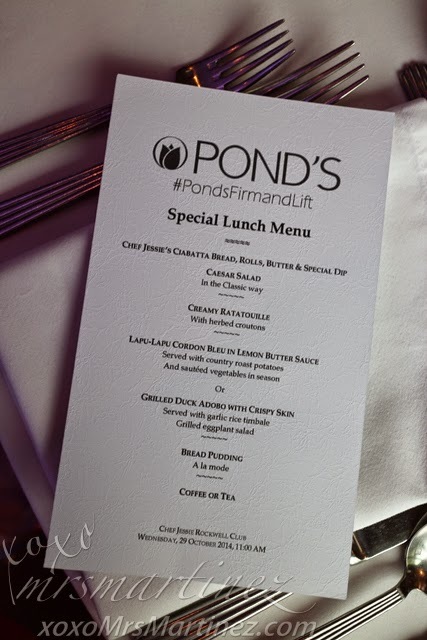 Pond's recently introduced its latest innovation called Firm and Lift at Chef Jessie at The Rockwell Club. Naturally, I am ecstatic to know more about the new products as well as the Special Lunch Menu prepared by Chef Jessie herself. Chef Jessie's Ciabatta Bread, Rolls, Butter & Special Dip (not in the photo) was gone as soon as the basket of bread was served on our table. 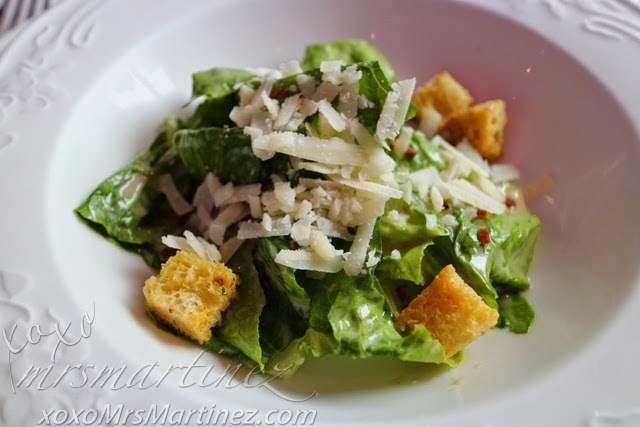 I like the generous serving of shaved Parmesan cheese on top of fresh greens with just the right amount of salad dressing. 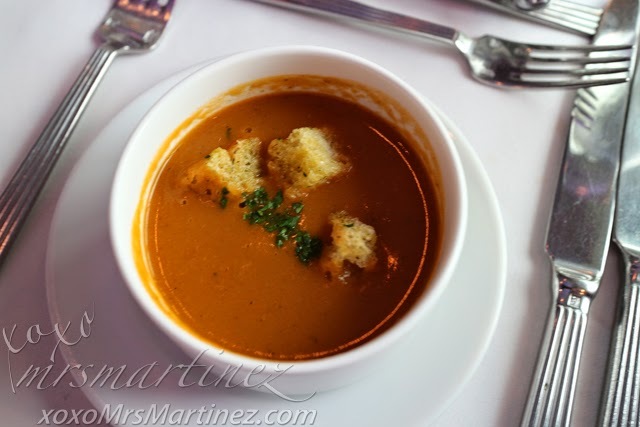 This tomato-based soup was so rich and tasty! 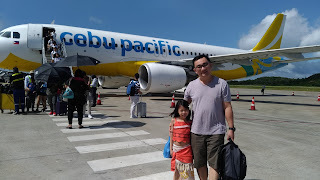 You can have a choice of Lapu Lapu Cordon Bleu in Lemon Butter Sauce served with Country Roast Potatoes and sauteed vegetables in season or Grilled Duck Adobo with Crispy Skin. Who can say no to duck?! 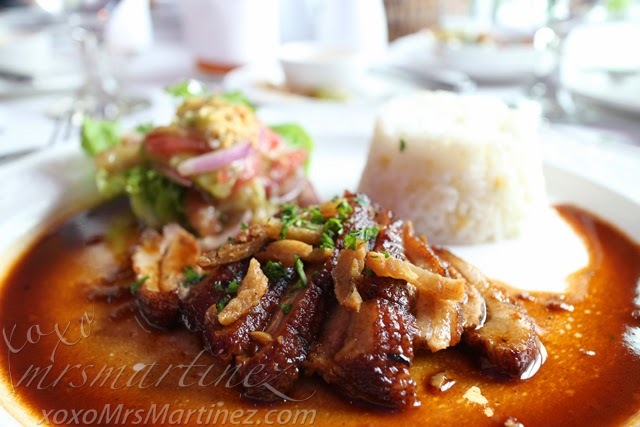 The skin of the duck remained crispy despite teeming in sauce. I love it especially the grilled eggplant salad! 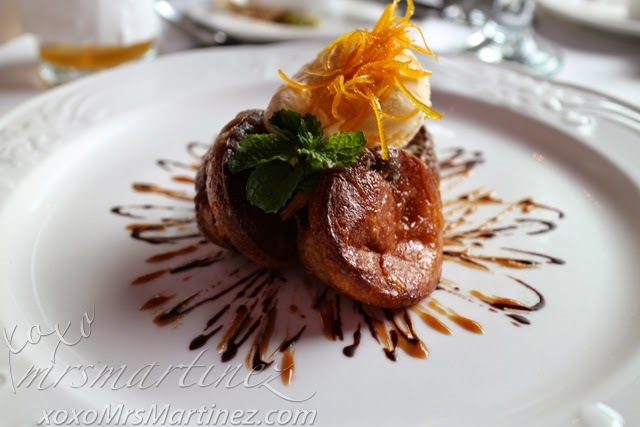 Now, this Bread Pudding ala mode is what I call dessert! It's so yummy, I was able to finish everything in one minute hehe Okay, maybe a bit exaggerated hahaha Maybe two! lol I love the sweet and tangy combination. Oh la la! What's your dining experience at Chef Jessie like?